This is the first of our “Behind the Seams” series – looking to give you a glimpse as to what goes on inside a tailor’s workshop. Each of the photographs has a little story to tell. It is a working environment, but we still try our hardest to make it comfortable for customers….and ourselves! This photograph is of our Henry Herbert mannequin – hand made for us in South West England, in the same pattern as the dust protectors in which we place every suit we send out. Not the most thrilling photo at first, but there is more to it than meets the eye! 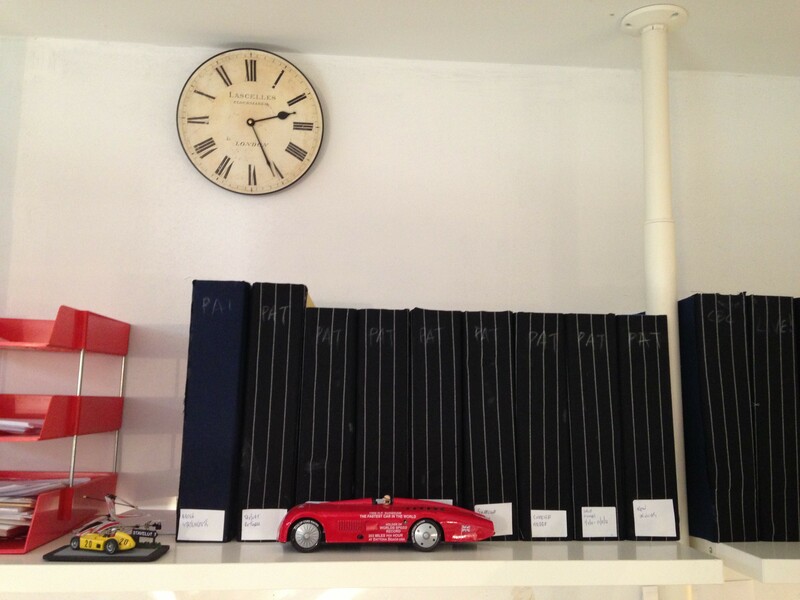 This vintage clock was given to us by a retired tailor – it keeps us on time for our customers. And the folders….all the cloth was cut from spare suiting fabric and the folders subsequently covered. By the way, Pat is our book keeper! 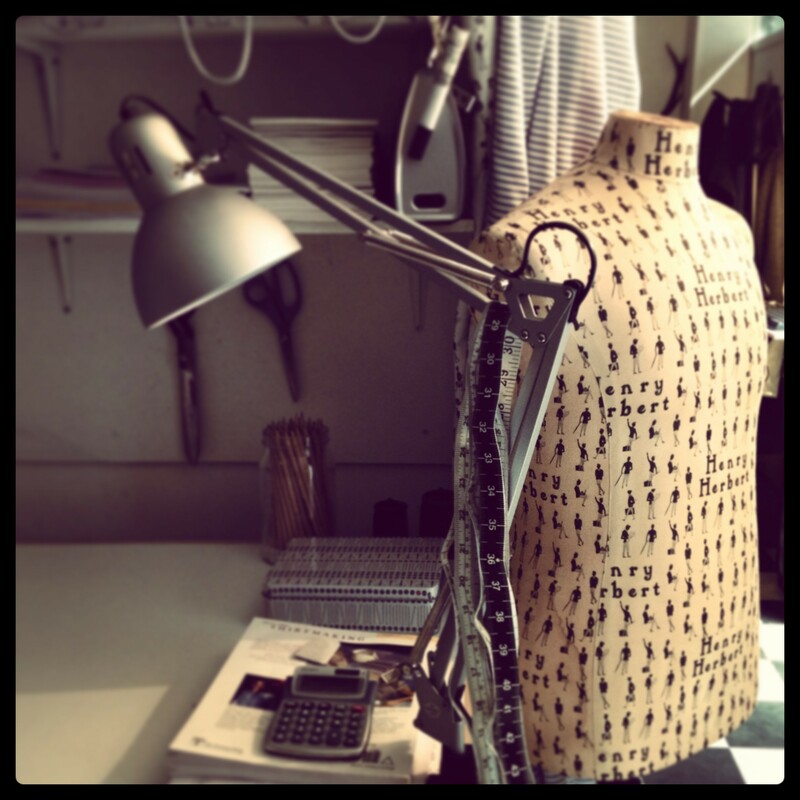 Mannequin in action: bespoke suit work-in-progress, awaiting its owner for a first fitting. 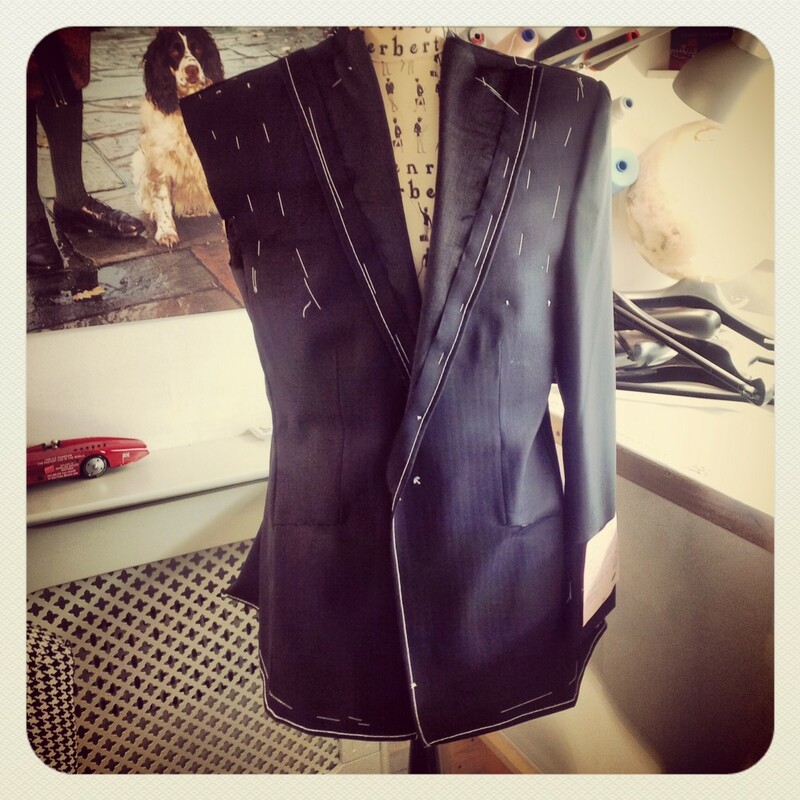 Inside a Tailor's Workshop: Our Suit & Shirt Workshop in Central London. Inside a bespoke tailor's workshop - find out what goes on "behind the seams" at Henry Herbert Tailors. We hand-make tailored bespoke suits, shirts, morning suits, overcoats and waistcoats to each individual customer's pattern.